Cambridge, MA — April 10, 2015 — Smartleaf’s mission is to automate highly customized, tax-sensitive asset management. In a recent six-year autopilot backtest, Smartleaf’s robust automation generated 1.97% in increased after-tax returns and 2.41% in tax alpha annually, relative to a non tax-managed portfolio, both tracking a 70-stock large cap passive model. The automated system analyzed daily but chose to rebalance less than 7 times per year, on average. Smartleaf helps wealth management institutions grow by streamlining the way they manage customized investment accounts. We offer an overlay portfolio management solution currently used to oversee more than $50 Billion in assets. At the firm level, Smartleaf is a tool for rapidly distributing and implementing investment ideas. At the account level, it automates customized rebalancing to free portfolio managers from manual tasks. Unlike other portfolio management solutions, Smartleaf provides proactive trade recommendations for every account, along with daily metrics to help managers identify opportunities to add value. 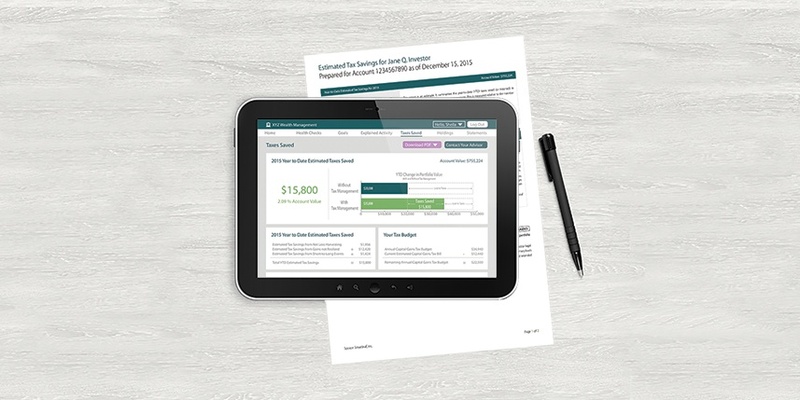 Banks using Smartleaf have lowered the dispersion of their investment accounts by 60%, reduced client tax burden by more than 75% and implemented their investment ideas up to 10 times faster.